Welcome to our website for a commercial EPC certificate. All our Commercial Energy assessors are fully registered to carry out commercial surveys in accordance with legislation and produce the EPC report in electronic from. 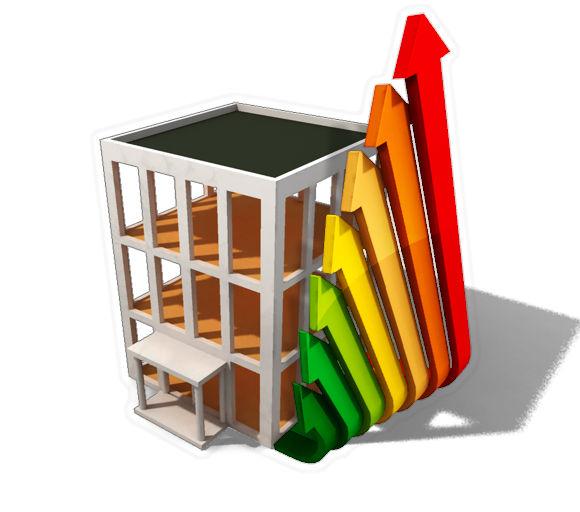 Commercial energy performance certificates (EPCs) tell you how energy effective a building structure is and award it a rating from A (very efficient) to G (inefficient). The commercial EPC will also state what the commercial energy performance rating could be if improvements are made, and highlights affordable methods to accomplish a much better rating. Even if you lease your commercial building, some enhancements noted on the EPC might be worth your while – such as switching over to even more energy-efficient light bulbs. All commercial properties in the UK available to buy or lease have to have a commercial Energy Performance Certificate (EPC). If you own a commercial building, getting an energy performance inspection carried out could help you identify methods to save money on your energy expenses. Our group of commercial energy assessors can offer useful details on methods to improve the energy efficiency of your commercial building; this can be useful advice such as draught proofing windows and doors, to advanced measures such as, alternative heating and eco-friendly innovation. -All our non domestic (commercial) Energy Assessors are certified, knowledgeable, friendly and insured. -We use the latest onsite technology to generate your report within 3 days. -We cover ALL London and the M25 Area. How much does a non domestic (commercial ) EPC Certification cost ? When is the Commercial EPC required? From 1st October 2008, all non-domestic/ commercial buildings on construction, sale and rent will require a Non-Domestic / commercial Energy Performance Certificate (NDEPC) and a Recommendation Report (RR). This information will help property owners and tenants make their building more energy efficient and allow potential buyers and tenants to compare the energy performance of different buildings. This is being phased in from 6th April 2008 for buildings with a floor area of > 10000m². In July 2008, this will extend to buildings with a floor area of > 2500m². By October 2008, all larger public / commercial buildings will require an annual Display Energy Certificate (DEC) highlighting their energy performance. This is to be displayed prominently in a place visible to the public. These buildings will also require an Advisory Report (AR) providing recommendations for energy improvements each seven years.